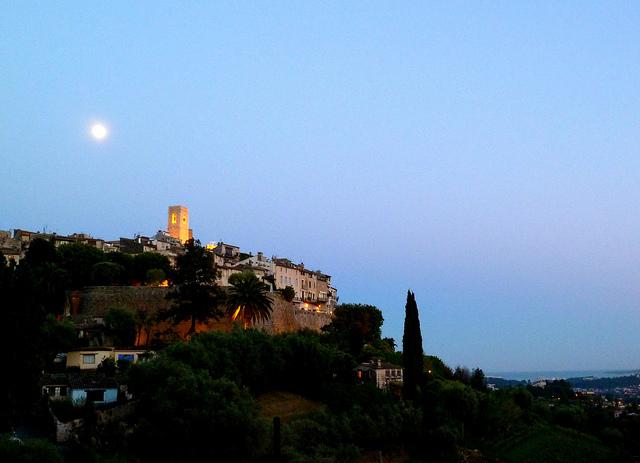 Saint-Paul de Vence. Photo: David Van Der Mark. Saint-Paul de Vence, a hilltop town about a 30-minute drive from Nice, is a unique place where a storied medieval history meets today’s rich and famous jet-setters. It also provides a wealth of photo ops: 11th century architecture (like the old church of Saint Michel du Puy), narrow, boutique-lined streets, and, on a clear day a spectacular vantage point for the Mediterranean to the south and the Alps to the north. 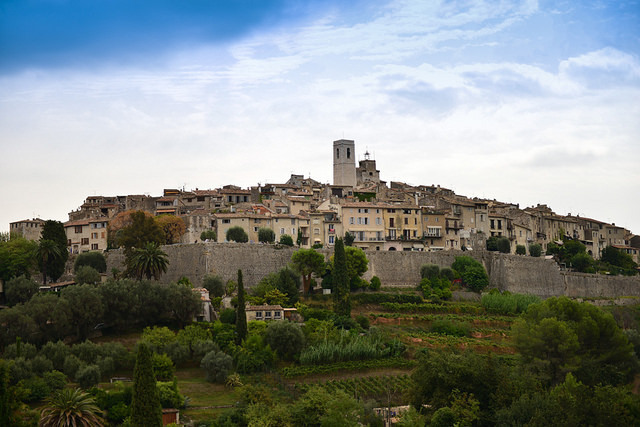 Fortified walls of Saint-Paul de Vence. Photo: Winniepix. Because of its strategic position, fortified walls – built in the 14th century for protection against artillery fire – encircle the city. In the 1920s artists like Bonnard, Modigliana, Soutine and Signac, used to gather at the restaurant, paying for their meals and rooms in paintings and sculptures. This was a grand investment for the owners, who assembled a priceless collection of art, including works by Matisse, Picasso, Miro and Braque.